The best outcomes for foster children occur when everyone involved in the child’s care and supervision works together using all of the legal tools available to them. Too often problems in a child’s case are not identified and communicated effectively to the Juvenile Court or the responsible agencies. In addition to caregivers, the main parties involved in the Juvenile Court process are the Juvenile Court, county child welfare agencies, foster family agencies, and attorneys. The role of the Juvenile Court is critical for oversight of a foster child’s case. The County child welfare agencies are accountable to the Juvenile courts as they propose initial case dispositions and review hearing case dispositions. 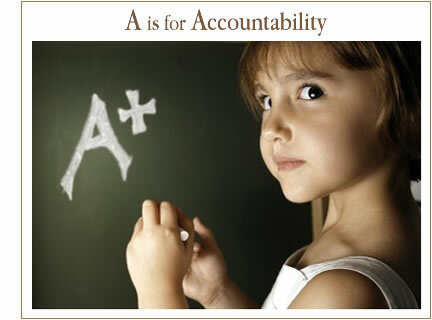 Foster Family Agencies are also accountable to the Juvenile Court. California state law and Federal law allow and encourage caregivers to have Juvenile Court access and Juvenile Court reporting power. In California, we have an additional reporting opportunity which allows “any interested person” to request a change of court order under very specific circumstances. Communicating with the court requires special court forms and protocol. If you are a caregiver and wish to report to the court at the time of a review hearing, see our Caregiver Information page. If you are not a party or a caregiver and you have concerns about a child in foster care and wish to communicate with the court, see Request Change of Court Order. County child welfare agencies are responsible for the day-to-day casework for foster children in California. County agencies must file reports and recommendations to the Juvenile Court at the time of disposition, review hearings, and permanency planning hearings. All communications should be in writing. All agency employees responsible for the child, including the program manager and director. It is important to inform all professionals up the chain of command of your concerns. This allows the administrators and directors of the agency to be aware of your concerns and will encourage them to scrutinize the activities and decisions within their department. Foster family agencies are also responsible for the day-to-day casework with foster children in California. They have a duty to file periodic reports with the Juvenile Court. Prior to any hearing involving a child in the physical custody of a community care facility or a foster family agency that may result in the return of the child to the physical custody of his or her parent or legal guardian, or in adoption or the creation of a legal guardianship, the facility or agency shall file with the court a report, or a Judicial Council Caregiver Information Form (JV-290), containing its recommendation for disposition. If you are an advocate with a concern about a foster child placed through a Foster Family Agency, be sure to send a letter of concern to the Foster Family Agency social worker, his/her supervisor and the director of the Foster Family Agency. Copies of all letters of concern written to the FFA should also be sent to all county social workers involved in the child’s case, the director of the county agency, the child’s attorney, county counsel, and the CASA, if one has been appointed. Attorneys charged with the duty of representing foster children in the dependency legal system have a tremendous responsibility. It is important for all child advocates to be familiar with Welfare and Institutions Code Section 317(e), and the state and county rules of court which set out the specific duties and obligations of minor’s counsel. Counsel shall be charged in general with the representation of the child’s interests. To that end, the counsel shall make or cause to have made any further investigations that he or she deems in good faith to be reasonably necessary to ascertain the facts, including the interviewing of witnesses, and he or she shall examine and cross-examine witnesses in both the adjudicatory and dispositional hearings. He or she may also introduce and examine his or her own witnesses, make recommendations to the court concerning the child’s welfare, and participate further in the proceedings to the degree necessary to adequately represent the child. In any case in which the child is four years of age or older, counsel shall interview the child to determine the child’s wishes and to assess the child’s well-being, and shall advise the court of the child’s wishes. Counsel for the child shall not advocate for the return of the child if, to the best of his or her knowledge, that return conflicts with the protection and safety of the child. In addition counsel shall investigate the interests of the child beyond the scope of the juvenile proceeding and report to the court other interests of the child that may need to be protected by the institution of other administrative or judicial proceedings. The attorney representing a child in a dependency proceeding is not required to assume the responsibilities of a social worker and is not expected to provide nonlegal services to the child. The court shall take whatever appropriate action is necessary to fully protect the interests of the child. Attorneys representing children in dependency court are also held to “minimum standards of representation” under California Rules of Court Section 5.660. In some California counties, a complaint concerning the performance of an attorney appointed to represent a minor may be lodged on the child’s behalf by a caretaker, relative, or a foster parent. See Local Rules of Court, by County to find the rules in your county regarding complaint procedures. If you are a relative caretaker or foster parent in one of the counties which allow “non-parties” to lodge a complaint and you would like to contact the presiding judge of your juvenile court to report a problem with the attorney representing the child in your care, download and fill out the Request for Assistance with Court Appointed Attorney form and send it to the juvenile court presiding judge in your county. — Need more information? Contact Advokids.